Commuting via trains in India is a herculean task in so many ways. Swarming crowds, uncomfortable weather, frenzied rush all amount to a hassled travel experience. Among all this chaos, there are a few stations in our country that treat the commuters and travelers to some lip-smacking local delicacies. A few bites of these dishes tucked in between some high-gear traveling will leave you with an experience to cherish, and your taste-buds with satisfaction to last a life-time. Chole Bhature at Jalandar Station: Chole Bhature is a quintessentially Indian dish, rich with spices and tangy masalas. Taste the special flavor added by the flair of Jalandar as you traverse across the spirited North-West of our country. Dumm Aalo at Kharagpur: The world’s longest railway station will leave you longing for a taste of its Aalo Tikki long after you’ve left the station to go forth on your travels. Hot, spicy and irresistible, this station makes this common Indian dish feel like a royal delicacy in the middle of the chaotic station atmosphere. Poha at Ratlam Station: Made famous by Geet from Jab We Met, the Ratlam station caters the humble rice dish Poha with a taste so unique and memorable, it will elevate your entire travel experience. Idli and Wada at Vijaywada station: This typical south Indian breakfast is taken to a whole new level by the early morning stalls at the Vijaywada Station. 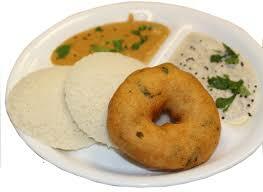 Stop by to have a taste of the authentic south Indian palette. Rabri at Abu Station Road: Something sweet and nutty on a scenic yet busy station like the Abu Station certainly fits in well with plans of a serene trip. 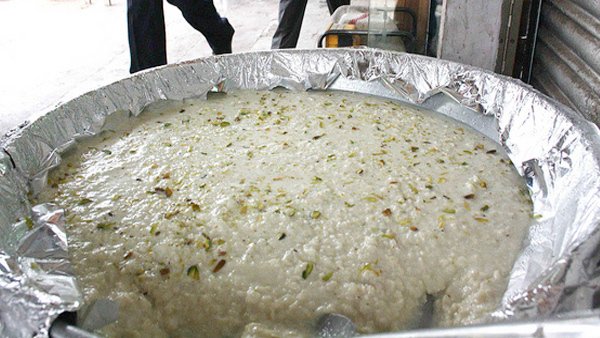 Try out the extremely famous Abu Station Rabri for just Rupees 20!